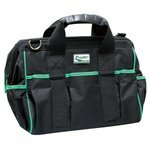 Heavy-duty tool bag with shoulder strap. Material: 600 denier polyester. Dimensions: 330×230×250 mm. 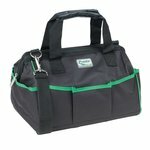 High quality, heavy duty tool bag with multiple internal and external pockets. 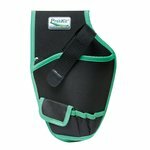 Made of durable and lightweight polyester. Size: 400 × 200 × 300 mm. 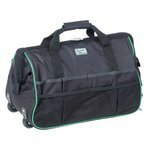 Heavy-duty tool bag with wheels and telescoping handle. Material: 600 denier polyester. Dimensions: 500×280×300 mm. 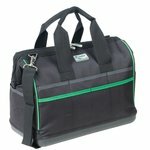 Heavy-duty tool bag with shoulder strap. Material: 600 denier polyester. Dimensions: 420×210×250 mm. 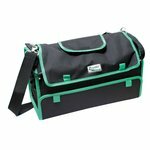 Convenient portable durable polyester tool bag (385×295×65 mm). 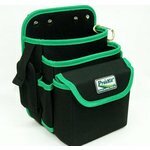 Belt tool bag. 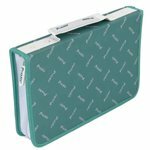 2 large and 4 small compartments (1 expandable). 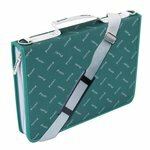 Convenient portable durable polyester tool bag (255×172.5×55 mm). 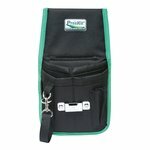 High quality, heavy duty tool pouch made of durable and lightweight polyester. Size: 110 × 120 × 60 mm. Tool bag with a shoulder strap. Size: 520 × 300 × 400 mm. Tool bag for carrying on the belt. Different size compartments. 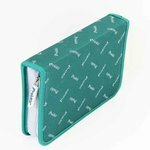 Size: 170 × 160 × 240 mm. 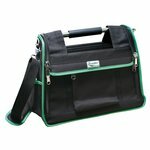 Convenient portable durable polyester tool bag (340×222.5×60 mm). Tool bag with a strap. 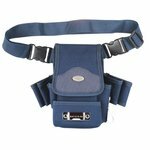 Strap can be flown over the shoulder or locked around the waist. 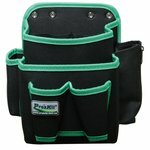 Holster which is specially designed for power tools. 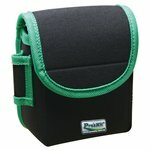 Different sized side compartments are useful for nails, screws or any other small tools.